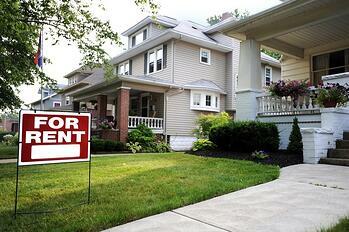 Have you been thinking about purchasing a home to use as rental property? While it's a great opportunity to increase your portfolio and potentially make some extra cash, like any investment, you need to make sure you understand what you're getting into. Here are some questions you should ask yourself before taking the plunge into the rental property world. Are you looking to have one steady tenant or are you interested in vacation rentals? You'll need to ensure that the property you purchase is zoned or allows that type of rental. WHERE WILL YOUR PROPERTY BE LOCATED? Remember all that time you spent looking for the perfect location when it came to your own home? You'll need to show the same amount of care and detail for your rental home. Look at trends in home prices, crime rates, nearby schools, etc. Any potential long term renter will want to know this information. Before buying, check online to see how many rental properties are available in the area. If there are several that are occupied, that's a good sign. However, if most rentals appears to be vacant, maybe check another location. You should also research to find what the average rent is in the area to make sure it will cover your mortgage. HOW WILL THIS AFFECT YOUR TAXES? Be prepared for your taxes to change once you start purchasing investment properties. This may mean an increase in your property taxes. You'll also have to deal with multiple properties and their rising and falling property values. On the plus side, there are several write offs associated with investment properties. Find out more about property taxes in the state of Utah HERE. HOW WILL YOU HANDLE DIFFICULT TENANTS? Being a landlord can be tough. You’ll need to be prepared to hold tenants accountable if they are late on rent or cause damage. Set the expectations at the beginning. If you let someone get away with something even one time, it doesn't take that long for it to become a habit. When searching for tenants, come up with a list of qualifications, such as a specific salary, and stick to it.